Tony Buzan is the internationally renowned expert on the thinking process, creativity and innovation. Tony Buzan is an authority on principles of learning, productivity and efficiency, and his consultancy has been sought by leading companies including: Microsoft, IBM, Walt Disney, Encyclopaedia Britannica, Barclays International, McLaren Technology, British Telecom, the Royal Mail, Goldman Sachs, Oracle, STABILO, BBC, BP, The Liechtenstein Global Trust, HSBC Bank. 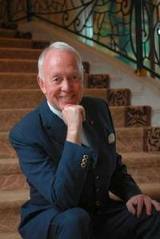 In today’s show Mark Davies talks with Tony Buzan. He will explain how it all started and how he struggled as a student to recall the details from his lectures despite taking prolific notes and how over time the mind map showed itself. Join us today to learn the power of the mind map and find out how you can use it in your life. For more information then take a look at just some of Tony’s work in the newly republished series the Mind Set.